Found this little gem of a find at reddit (Here's an upvote for you Sir). 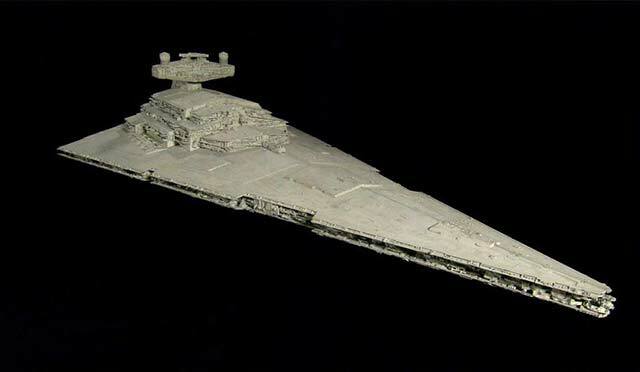 A treasure cache of images of the scale models used for the original Starwars series. I read a while back from one of the internet forums (sadly I don't remember which) that the original prop models were made by kitbashing some other scale model kits a long with some actual fabrication. As a model scale builder that is truly inspirational to hear. And of course the fact that people can actually make a living by leveraging their hobby. Sadly nowadays most effects stuff are done through CGI so that definitely affects the industry.